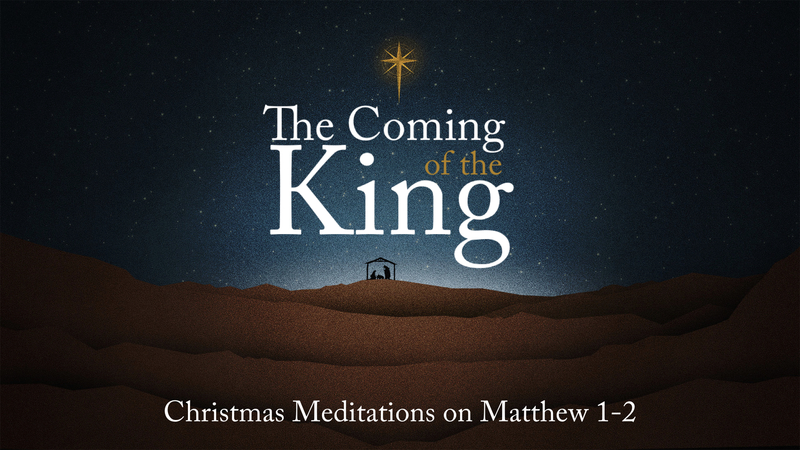 On Sunday, December 11 at Wildwood Community Church, I preached a message based on Matthew 1:18-25. This message was part 2 in the “Coming of the King” sermon series. Below is a set of questions related to the message for personal reflection or group discussion. As you think about the “way” Christmas is celebrated in your home, what do you consider to be a “normal” Christmas? In Matthew 1:18-25, we see that the original Christmas story involved a very “unexpected way” for Joseph. This was a truly supernatural way. List as many evidences of supernatural activity that you can see in today’s verses. To the best of your understanding, why did it matter that Jesus was born in the “way” He was born? Not only was Jesus’ birth supernatural, but also the salvation He would bring for His people would also be markedly supernatural. In this morning’s message, it was mentioned that the “natural” way people think about salvation is by earning God’s approval through our good works. Jesus however, offers salvation as a supernatural gift . . . where His righteousness is given to us and He takes the wrath our sins deserve. What “way” are you trusting in for your salvation? The natural way, or the supernatural way? Have you ever obeyed God and then had someone else misinterpret your intentions? Do you draw any encouragement from Joseph’s example in Matthew 1?